Nothing cures the Monday blues like a big dose of pretty! And that’s exactly what we have in store for you today. We’re starting off the week with a romantic dessert table to make you swoon! 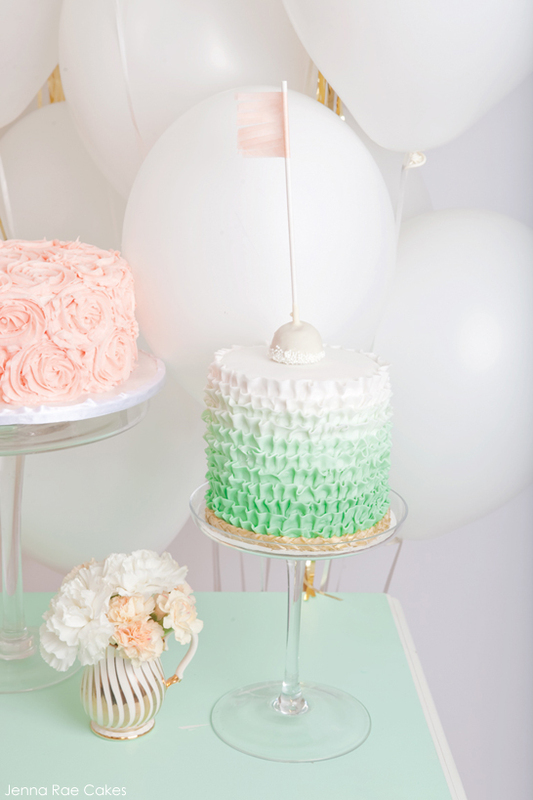 With buttercream frills, ruffled rosette swirls and ombre, this display will steal your heart. 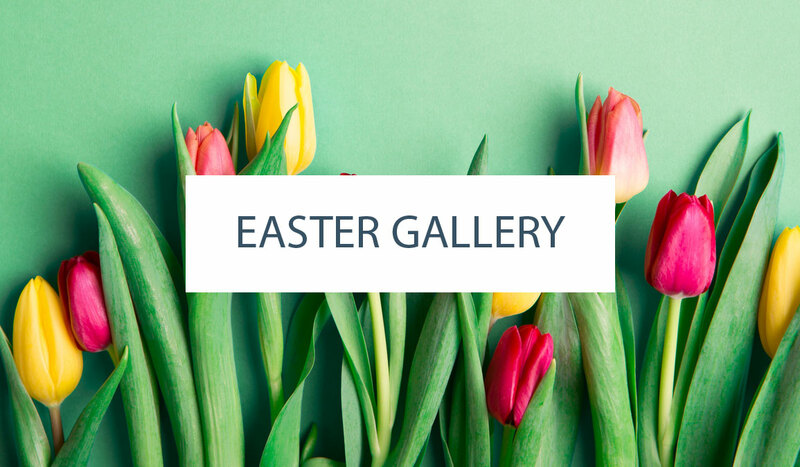 The soft pastel color scheme is a perfect combination of peach and mint with a pop of gold. 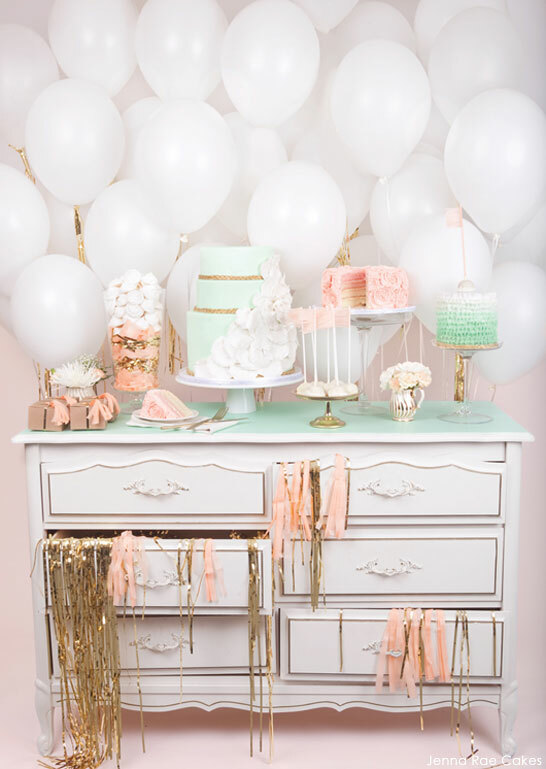 Featuring three incredible cakes, a whimsical balloon backdrop and festive streamers… feast your eyes on this Fresh & Feminine Cake Table, shared with us by Jenna Rae Cakes. Are you swooning yet? This charming table included three cakes: a mini buttercream frill cake in shades of mint, an ombre layer cake with buttercream rosette swirls and an incredible fondant covered petal cake as the centerpiece. Meringues, white chocolate covered cake pops, boxed favors, streamers and balloons completed this lovely display. Not to mention the oh-so-cute cake menu! So many great uses of color gradation in this table… both inside and outside the cake! A peach ombre layer cake is covered in buttercream rosette swirls and the results are beautiful! Isn’t it lovely! It would be perfect for a wedding, bridal shower or even a baby shower. AND I think it would be a lovely change to the typical reds and pinks for Valentine’s day. 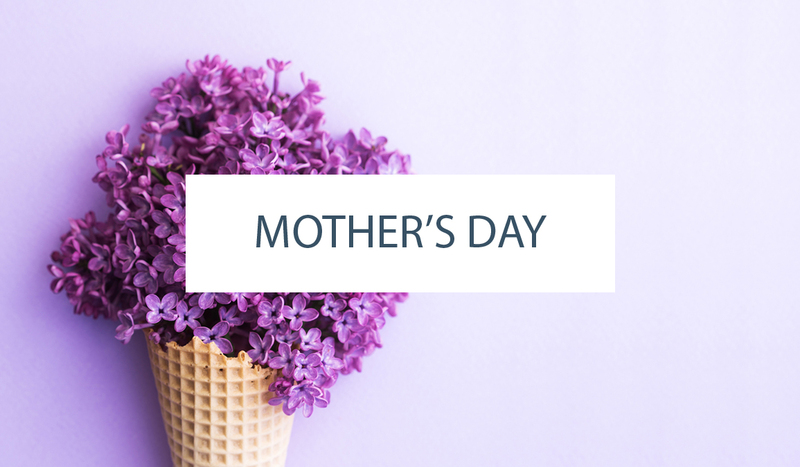 The soft colors and delectable sweets definitely create a sense of romance. 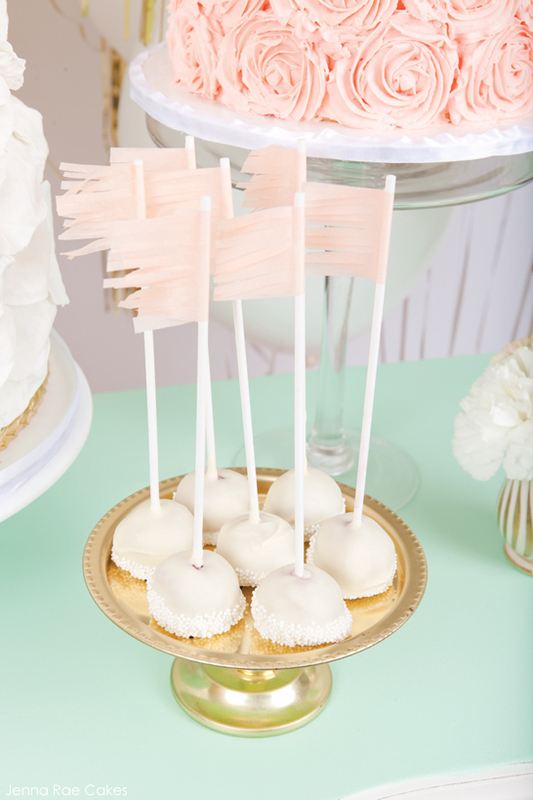 A big thanks to Jenna Rae for sharing this charming Fresh & Feminine Cake Table with us! We love, love, love it! Happy Monday everyone! I love this for a wedding idea – I’m thinking of sweet treats on a dresser and the drawers full of surprises for the guests! Just beautiful. Absolutely beautiful. Love, love, love! Absolutely love this! What a beautiful idea for a grad party or sweet 16! I am just getting into cake decorating and love that things are not so traditional anymore! GORGEOUS! This is so beautiful and romantic. I’m in love with the rose cake! Just wow! The flower work is lovely! Thats great seeing iambaker’s Rose cake in such a beautiful display. Pretty. This set up is absoultely beautiful! I love the pink buttercream cake, very pretty! This is such a lovely custom sweet table display. 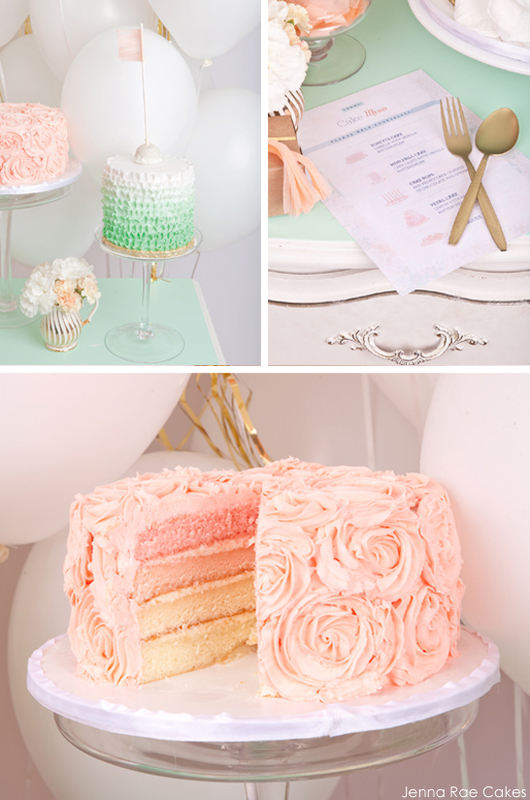 I especially love the rose cake with the gradient cake layers. It’s so soft and sweet. You did a great job with those pink roses. 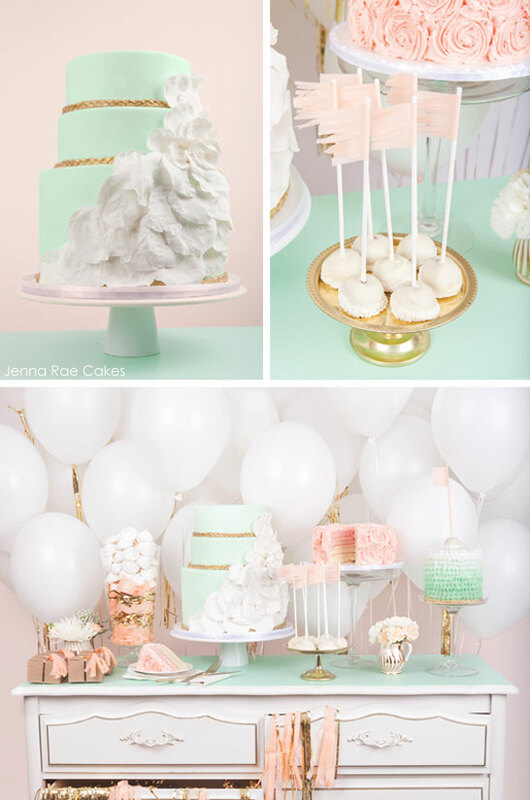 The mint green cake also looks so fresh and clean paired with these other colors. If you would like to see more unique custom wedding cakes check out Heather Barranco Dreamcakes in New York City and New Jersey. I’m lost for words. Wow!